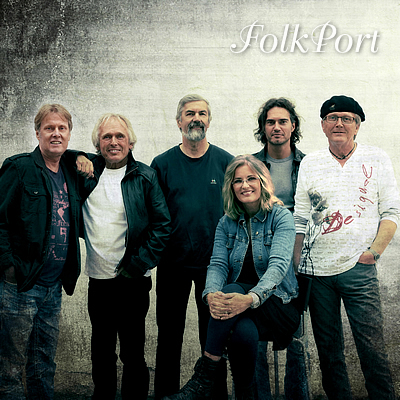 British and Irish folkrock with impact and atmosphere is the trademark of FolkPort. Their varied musical concept covers everything between punchy trad.- and dancetunes and poetic ballads and instrumentals. With their unique joy in performance, relaxed stage presence and and a perfect mix between their own and more traditional music, FolkPort creates a mutual music pub mood. You can set your mind at peace with epic ballads or sing along to nasty drinking tunes but you will surely not be able to sit still when FolkPort stir up their punchy dancetunes, jigs & reels. During the last few years FolkPort have performed at festivals and venues in Norway and Denmark including our fifth Skagen Festival in july 2011. At the same time there has been a lot of recording sessions for their new CD. The main event in 2009 was undoubtedly a warmup gig for Fairport Convention at Rockefeller Music Hall in Oslo. 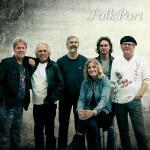 Check out the new FolkPort CD "Let me in" on iTunes! "Folkrock from Norway inspired from the British Isles!"